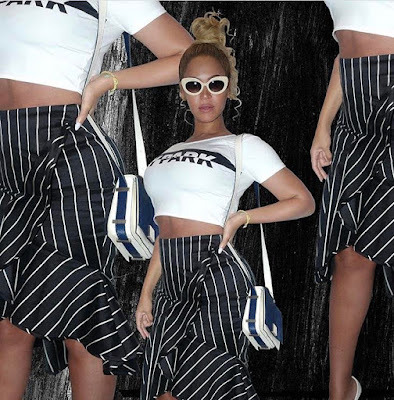 Beyonce is always fashionable in whatever she wears! She posted a few pics on Instagram earlier looking fierce in her Ivy Park crop top, pinstriped skirt, and heels. Get her $42 'Broken Logo Wrap Crop Crew' online or in stores!